Everyone has some idea of how bad the health crisis in remote Indigneous communities. But the reality hits home for us every day, especially since starting the Hope for Health (HFH) program. Every day about the community someone asks us for help with specific often serious health issue or they ask us how to be part of a HFH retreat. Many Yolngu now live, with constant fear for them selves or the community, “Who is doing to be next”. Like they live with ticking time bombs but they can’t see the counter. And many are seeing HFH as a solution for them, becasue of the changes in the 16 people who have entered the program so far.. That is why is it so very huge that our very first Health Retreat on Yolŋu country, incorporating Yolngu food and healing techniques, can happen this year. The ladies on the steering committee have said it is our number on focus. Our Hope For Health team has recently launched our campaign to raise $80,000 to run the world’s first traditional health retreat in Arnhem Land. The retreat will support people through a detoxification and cross-cultural educational program, that combines traditional wisdom, health expertise, modern nutrition and experiential learning. So that participant returning to their community after 2 weeks are able to fight chronic disease in their own live and those of their families. In only a matter of days, donations have been pouring in and we have received social media support from the likes of Peter Helliar (The Project) and Lynn McGranger (Home and Away), as well as our Ambassadors – celebrity chef Pete Evans and NITV presenter Leila Gurruwiwi. If you haven’t already, check out our inspiring video and consider making a donation! 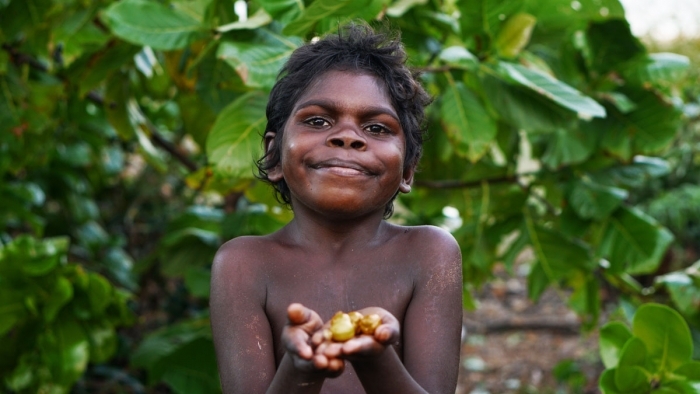 Together, we can change the face of Indigenous health in Australia and beyond. This retreat will set us up to run more regular retreats in coming years and grow the number of people experiencing the reality that food can heal, and developing real understanding of the cause of disease. This is crunch time for HFH as we try to grow to a level of effectiveness that can begin to tip the balance toward people having control of their health. So please tell everyone about what we are doing, share and visit support.hopeforhealth.com.au.